A lot of families really like to travel, and ours is no exception. 99% of the time we stay in a hotel when we are on the go, but I have always been curious about other options. Redweek.com offers a place where timeshares can be purchased from people who would like to sell. It also offers the opportunity for members to contact the timeshare owners to rent out property all over the world for various amounts of time. We are a family on a budget, so the cost advantage to such a service is something that definitely captured my attention, so... for kicks and grins, I started poking around the website. The second thing I saw was a lot of great choices for timeshare rentals currently available in Hawaii. The site makes it easy to break your choices down into what exactly it is you are looking to find. You can search by location or resort name. I have no clue what resort we'd like, so I went for the location. My husband wants to visit Honolulu, so that was the first choice I put into the search engine. I narrowed it down to rentals. One example of a search I did. 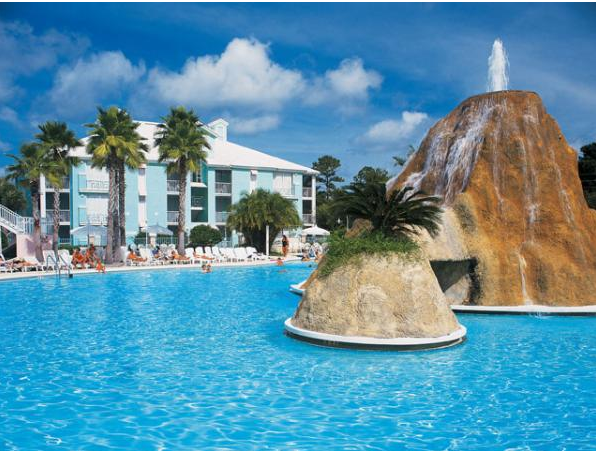 This Hilton resort has 20 reviews, and 63 timeshare rentals available for the months listed. The prices are significantly lower than if you were renting a room directly from the resort. I checked. The example I am showing, and it was just a random pick because I know the Hilton name, showed 37 pictures of the resort, gave an in-depth description of it, showed the customer reivews, and gave you a map layout of the rooms and where your rental would be located. The price on Redweek.com for the particular rental we selected was $895 for 6 nights ($149 per night). The price on the direct website for the same dates, same room occupancy, same room type, was 'from $364 per night.' THAT is a big difference. The owner name and a way to contact him/her (for the rental) is provided on Redweek.com when you are a member. I did see a photo on Redweek.com that said Hawaii from $57 a night, so if I wanted to do some more digging, I bet I could have shaved off the cost of lodging even more. The second search I did was for Orlando. We are overdue for a trip to Disney World (my youngest was so young he doesn't even remember going), so to the search engines I did go. The only nights available during Spring Break (which I selected in my daydream of planning a trip during that time frame) were for one week stays. We wouldn't stay 7 days, that is too long for us, but for people looking for an all out vacation in Orlando during Spring Break, the least expensive selection in my search was $64 a night, for 7 nights. That's amazing, and the many reviewers who had stayed there gave it very high ratings. That was not for a small two-bed hotel room either, it was an all out resort with a full kitchen, DVD player, living area, and patio. The swimming pool for that particular resort is pictured above, and it was really gorgeous. I am planning to poke around some more to see what I can find that might fit our potential travel plans for the summer. I think my favorite thing, besides the generous photographs and customer ratings, is the rich descriptions. Each description tells you if there are other fees associated. For example the one above said 'no additional taxes or fees apply, and free parking.' I like that because the last thing I want to come across on a trip is hidden fees. I haven't used this service directly, but I am thinking about it, and will continue to look around and see what kind of deals are offered for the time frames we have to travel. The rental and purchase options available are worldwide, so maybe this will be something we can use for our next trip abroad!! If something like this is of interest to you, I am having a very short giveaway for a 2-year membership to Redweek.com for free. That means you can poke and peruse the sight at your leisure and take advantage of the savings for two full years. This is a super fast giveaway, so be sure to get your entry in if you are interested! Who knows what kind of great deals you might find! You can learn more about Redweek.com by visiting their website. Sounds like a great place to go for great deals. Awesome. The price comparisons are really nice. I'm liking the site, but it's got my wanderlust all up in a dander. Sounds like an interesting way to go. I never heard of it before. I haven't either, until now. :) I'm thinking I'm going to try it for something close to home... I keep thinking of destinations and everything is in there so far! Love to travel. This looks like a great deal. Oh my gosh, I saw a show on one of my favorite review sites, and there were hotel owners saying they bash neighborhood hotels on that site (not Redweek.com), on purpose. I'm sure it's not the norm, but I was mortified. And as for your comment, shame on that 33%. I leave reviews when I travel. I put up pictures so people can tell (hopefully) that they're authentic. When I go on vacation, I like to stay at a place with a kitchen. I like to be able to have lunch when I feel like it and if I dont' feel like eating out there is something easy to make in the house. If I'm there more than a day or two, I like a kitchen too! That is a great way for people to actually talk to the owners. Its nice to have a rental over a hotel room. I like the difference in space. I've stayed at my in-laws rental in Orlando before and it was really nice! Those are some great deals. I have to check that site. Will check out when we plan our next vacation! I never knew about this but will definitely check it out next time we go on vacation. It's interesting, and I like looking around a bit at the places to stay. WOW! Sounds like a great way to get a rental on vacation! I need to check this out! I definitely love that they disclose fees that normally are not disclosed. Orlando at $64.00 a night is really a great buy, I think I paid something like that back in the 80's and as we all know prices have risen considerably since then. As for Hawaii--I can only dream. Hawaii's a huge want to visit for my daughter and husband. :) I think my DIL would love it there too. Our family loves to travel too, and we have such great memories of our yearly vacations. My ex in-laws had a time share and it was great ONLY when they decided they didn't want it anymore they had a really hard time selling it. My in-laws have had quite a few over the years. I know they had a hard time selling one too though, a couple of years back. You can purchase a timeshare on this site, or you can just rent a room from someone who owns a timeshare (hence the big savings...I guess they figure if they're not using it, they'll rent it and their own fees will be paid?). I saw a button for a timeshare trade too, and that might be interesting for those who own one. This looks like a fantastic place. I have never tried time share but I have heard many good things about it. There is are few hotels in Ecuador that do timeshare. And they are really beautiful and the service is great. I think it's a fantastic way to have vacations and get to know a new country also. I am going to check out that site.. we always stay in hotels and other options that can save money are in my best interest. Saving money is always a good thing. :) Thanks for your visit! We have done this before and were very impressed. It was easy and the accommodations exceeded our expectations. Hurrah, I'm glad to hear a happy experience with it! This is the first I have heard of them. It sounds like a great resource! I think this is a cool resource too. I'm anxious to go through a bit more later today. What a great idea, I know my family members often try to change their timeshare location or trade weeks. This might make things a lot easier for them, then they can just sell the week and go wherever they want instead of the headache of trying to find an alternate location to go to that's available when they want it. I like it too... there's a forum in there too, so general questions can be asked. It's really a neat concept. I have never heard of this site before this post. We love to travel and prefer homes to hotels, so I am definitely looking forward to checking out the service. This would have come in handy for us as we went to Orlando so many times in 2013! I've stayed in a timeshare in Orlando (my in-laws') and I've stayed in various hotels. The timeshare beat the hotels by far, in so far as space, accommodations, etc. went. They're really, really great for large groups of people. Def. a potential money saver. I'm super curious to try one. I love timeshares. Whenever my family and I travel to Orlando we prefer to stay in one. It's much better than your typical hotel and if you travel often you are actually saving money doing so. I stayed in a timeshare in Orlando (my in-law's). It was nice! Perfect timing, we were just discussing timeshares. We had no desire to travel before we moved because of our animals. Now that we know they do great in the car, we want to take more vacations and need pet friendly places to stay. Time Shares might work for that. Hurrah that they like the car! Sounds like a great website to go to for deals. I had never heard of it before. It's new to me too, and I'm really liking it. The hubs and I love to travel and this sounds like a great site. Happy Wed. to you too, and I love your Olaf cookies that you put up today!! I find that a lot more people who travel are renting time shares, opposed to renting a hotel or motel. I personally think that time shares are a great idea! I love that there's a one-stop shopping center like Redweek.com to trade, buy, or rent a timeshare. I am happy to have found the site. Wow. I didnt know about that site. Thank you for mentioning it. Great deals! You are so right, there are some really great deals to be found! We have a timeshare and rarely use it. Would love to sell it if we can get a decent price. I'm going to check our Redweek. I hadn't heard about it before! So- this would be great to look into . I'd love to go on vacation but its expensive. That is a huge price difference. I don't travel anymore but I'll keep this site in mind for when we'll start again. I definitely prefer the saving money part. I can't believe the savings! We just booked our vacation. I wish we would have known! Amazing! Sounds like something I could use for next year's family trip and next year's girls weekend! I'm checking out this site and enter the giveaway if I like it because we DO love to travel and if we can get the best deals then I'm all for it! Sounds really great! I love time shares. It makes traveling so much easier for a large family like mine. The savings look amazing. If you are gong to spend on a vacation, you may as well save as much as you can. What a great place to find vacation deals. Now if only I can get my husband to take some time off. That really is a fabulous savings! We don't travel too far from home, but definitely plan to when the kids move out. I think we will be looking more into time shares then. I have never heard of this, thank you so much for sharing. I must check this out. I love to travel however finding deals and where to go is half the battle. This is awesome. Redweek.com sounds like a service I could use. I was going to plan a trip to Hershey Park early summer, need to find accommodations. We are def. on a budget! oh wow that is a great way to organize vacations! Wow those prices make a place like Hawaii that much more affordable! What an awesome service. That is a really cool service! It seems like lots of people have timeshares they are willing to rent out. Awesome when it works out for a great deal for you! I've never heard of Redweek, but it sounds interesting! My parents have a timeshare that they are looking to sell, maybe they can use this site! I totally agree about the hidden fees. That is incredibly annoying because they're sometimes significant. This is a really great idea especially for families who need room to spread out even more! It looks like it could be a really good deal, relatively speaking. I hope you enjoy it if you go! Thank you for sharing! This is such great timing. We have friends staying with us, who are thinking about selling their time share, and I'll let them know about this site! Thanks Courtney, I'm going to tell my in-laws too. I know they were trying to sell one they had for Branson, and I'm not sure if they were able to or not. We are on a budget too so this sounds like a great option for us. I may have to try this out on our next trip, which should be this summer. I'm always afraid of the fees with timeshares - but these types of places are great for large or extended families that vacay together! My mom has a timeshare here in South Carolina and she loves it. She would love to get one someplace like Hawaii!! I could never buy a timeshare, but this rental way is a great way to experience the benefits and not the bad side of owning one! I have never done a timeshare, but these are some great savings. This sounds like a great service. I've never wanted a timeshare but I love wonderful, affordable places to stay! Oh boy, you had me at timeshare rentals in Hawaii! LOL! I have always wanted to go to Hawaii! Oh, this sounds awesome! We love to travel but we are on such a budget now. That's so interesting! We usually stay in a hotel and it gets so cramped with the five of us. This sounds like a great service. Many people think that time share is the way to go. I think my family might have to try it. I like to learn of places like this, just in case it's needed. That sounds like a great site for finding deals. I think I might try it out. Thanks so much for telling me about this! We travel so much that I am always looking for deals! Great timing, too!! What a great service! We travel a lot so this would be great. Thanks! Thank you so much for introducing me to this service! We use other ones. I just checked on a Caribbean Family vacation trip we are having and wow I found great deals! Wow...that was a HUGE savings!!! I'll have to check them out when we're planning our vacation this summer. I'm not even sure where we're gonna go just yet, but can't wait! This seems like such a great service. Timeshares are always at such beautiful locations. This service put beautiful vacations within the reach of more families. This sounds really great, I am not sure I would use it but I know some others who may. Thanks for sharing! This sounds like something I would be interested in. I want to take the family on a vacation this summer but with a family of six, a hotel can be too small. I have never stayed in a timeshare. My sister-in-law has one and loves it. Redweek looks like it would be worth checking out. I've not heard of this site but am totally going to check it out! I am planning a trip to NYC in the Fall and will be needing a room to stay over night! This could help me same a few bucks! This seems like a very cool service. A friend of mines just asked if we wanted to plan a big family trip to disney and all I could think about was $$$ this sounds like it can help make it more doable. Thanks for sharing! This sounds like a great place to find vacation deals. I'll look into it! That sounds really great. I would absolutely use it traveling (2 parents and 2 kids gets expensive in a hurry!). I've never heard of Redweek! We stayed at a timeshare in Orlando and it had a mini water park on property. SO AWESOME! Houses like these are such a great alternative to traditional hotel/resort stays and more cost effective too. What a neat idea. My mom has a time share and hasn't always been able to use it. This would be terrific to save some money and travel. sounds like a great place to visit .. Plus the giveaway is awesome... I would enter this one. Red Week sounds like it would help so much with vacation planning! Now if only I could take a vacation! Sounds like a great way to plan your vacation! I'd love to get away from it all for a week.